R. Kelly is rationalizing his decision to stop paying child support -- claiming his ex-wife set the ball in motion by turning their children against him. 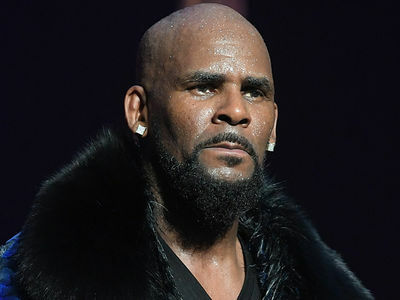 Sources close to R. Kelly tell us the singer was absolutely lashing out at Drea Kelly when he quit writing child support checks ... a move that ultimately landed him in Cook County jail. We're told Kelly feels like he tried to maintain a relationship with his 3 kids, but he blames Drea for ruining any chance of that. He's said he thinks she brainwashed them. Of course, Kelly's revenge move is incredibly warped logic -- punishing your ex by cutting off the money needed to help your kids. We broke the story ... Kelly owes Drea over $160k in back child support, and he was begging the court for a reduction so he could get out of jail. Of course, Kelly coughed up the bare minimum -- $161,633 -- on Saturday and walked out of jail a free man again. Sources close to the singer tell us he scraped the cash together with the help of a "benefactor." He assured his fans Saturday that "we're gonna straighten all this out." As we've reported ... Kelly was supposed to be paying Drea $20,833 per month as of January 2009 -- but he fell way off schedule last year. R. Kelly's camp says the singer got into a huge fight when he last saw Drea back in 2017 ... and after that, we're told she changed her phone number and didn't allow their daughter and 2 sons to talk to him. Drea paints a much different picture. She told us Kelly cut her off as a means of controlling her when she first spoke publicly about him allegedly abusing her. She also insists he's the one who changed his phone number. Even after all that, Drea told us she was open to Kelly reconnecting with his kids -- but she says they haven't heard from him since 2017.